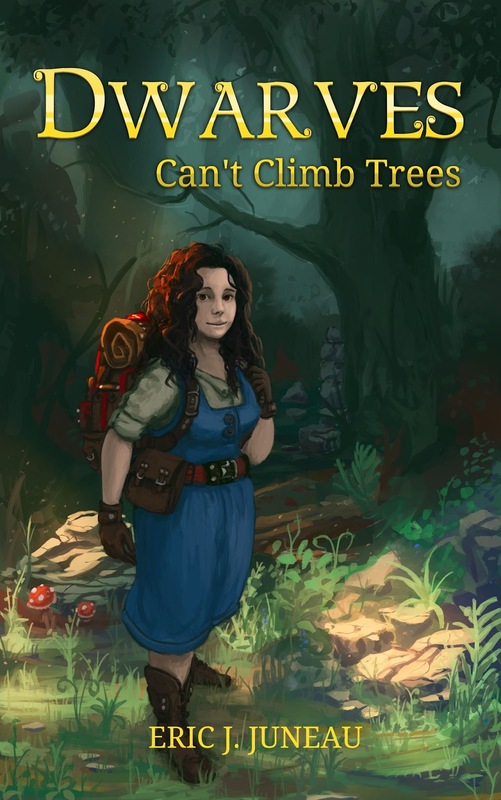 For St. Patrick's Day (the only other holiday involving short people is Christmas, and that's its whole other kettle of fish), I'm offering Dwarves Can't Climb Trees for free. Here are some fun facts about dwarves from my book. Dwarves are an egalitarian society of warriors, miners, and craftsmen. The one in this book takes place in Oakhaven, which is a tall mountain with a lot of snow. In summer, the snow melts and funnels into a river full of meltwater that's extremely cold. The three things dwarves value most are family, trust, and justice/vengeance. Dwarves tend to lack imagination, but love boasting and telling tall tales around a fire or pub hearth. Dwarf hair, for both genders, is usually worn long. Dwarven men spend considerable effort growing, maintaining, and embellishing their long beards (a trait they have in common with mermaids, ironically). Most decorations serve function over style, but they are never plain. Many represent small trophies of battle or objects associated with significant life events. Stopping a forge fire is like stopping someone's heart. You can bring it back up again, but it's never the same. A new fire is like a child--impulsive, full of highs and lows, not tempered at all, goes one way or another without reason. But an old forge fire you can trust. It knows how to burn. It has experience. It's seen metal, knows its taste. A forge is the heart of a smithy, and a smithy's the heart of a dwarven town. Dwarven foods commonly involve mushrooms, gourds, or other root vegetables. Bread is made from lichen flour. They commonly consume stews, meats, cheese, and of course, beer. Salt's a very popular seasoning.